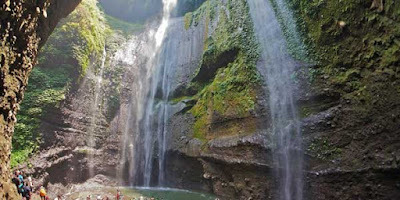 Madakaripura waterfall is a waterfall located in District Lumbang, Probolinggo, EastJava Provinsi. 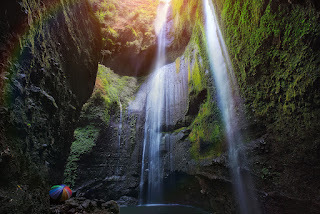 This waterfall is one of the waterfalls in the Bromo Tengger Semeru National Park. 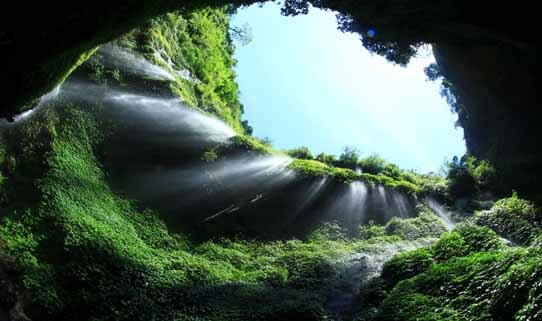 200-meter high waterfall is the highest waterfall on the island of Java and the second highest in Indonesia. Madakaripura shaped waterfall basin surrounded by hills dripping in all areas of the ridge like raining, 3 of them even formed a waterfall pouring again. The journey from Tongas to Madakaripura full of nice scenery and also the road which was quite uncomfortable. But all that would be paid if the explorers had reached the gate Madakaripura. There is no admission but you will be offered the services of a local guide who can bring you a carrier bag when needed. The journey from here to the waterfall is very beautiful and indulgent eye with a view of the big trees, the fresh air and also pass through the rivers. Sturdy shoes, waterproof sandals or mountain strongly recommended for this trip. Trips take approximately 1 hour when later you feel the cold around and also water bounding into your body. Therefore, a change of clothes, a raincoat or umbrella is strongly recommended. You have to walk a little further to enjoy the waterfall headliner. You still have to climb the cliffs are quite slippery and narrow. But once again it will be paid off so you see the main waterfall which berdinging circular, so it looks like you are in the bottle. Exquisite. There are several access that you can live if you want to visit this Madakaripura. 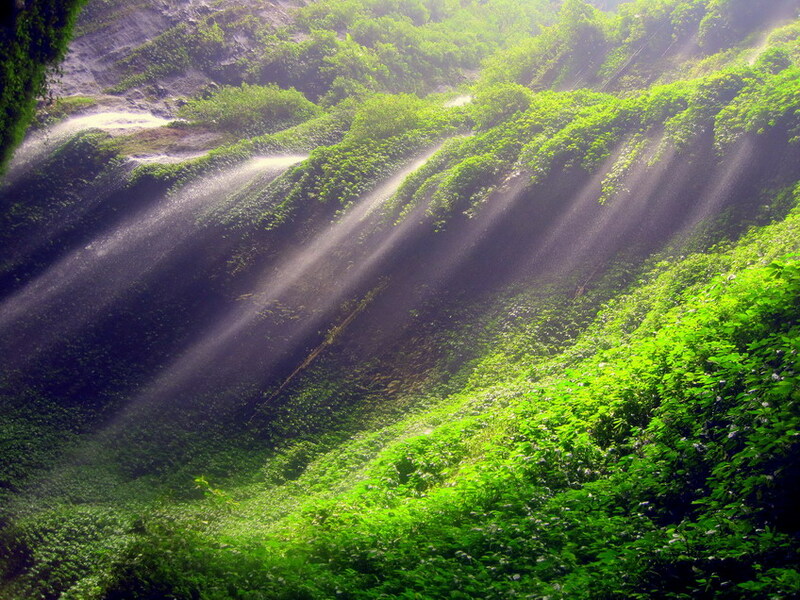 Location waterfall located in the district Lumbang in Probolinggo. If you do travel to Mount Bromo, the beautiful object is just 5 KM from the highway to the tourist area (village Sukapura). 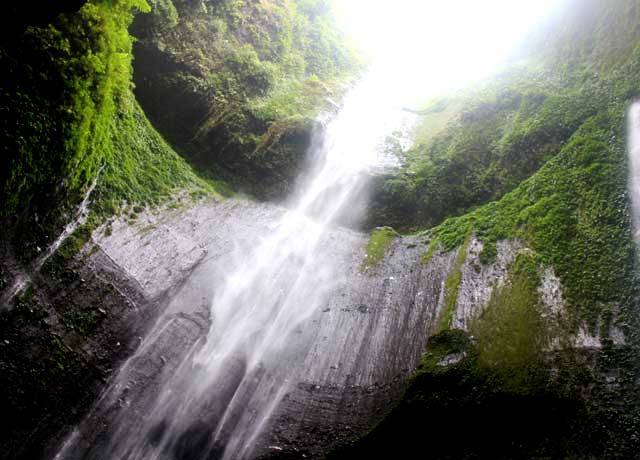 So it is very appropriate if you venture into this Madakaripura waterfall after seeing the beauty of the beautiful mountain. Distance from Bromo, travel time about 45 minutes to arrive at this place. • Wear shoes or sandals as if to climb the mountain. Clothing that is comfortable and relaxed is the best choice to wear. • Be sure to come in the morning. It is said that there are myths that circulate in this area is that you come before 14:00 As often happens in the early afternoon rain and a way out of the waterfall area is often flooded and landslides. • When arriving at the waterfall, take time for a short break before you play around. Heavy water currents become very dangerous if you lack of concentration due to fatigue. • There are several waterfalls in the area this Madakaripura. We noted there were five objects, ranging from small water discharge to the rapids. Each has its own difficulty level, especially if you want to get closer to the location. Roads with slippery rocks is a challenge for you. • Complete your trip by walking towards the cave near the waterfall Madakaripura. Photographed in this cave is very exotic. but you need to be careful because of the slippery rocks will confront you before reaching the cave.